LCE were appointed by the Roads Authority (RA) to provide professional services to assist in the investigation, compilation of tender and contract documentation for the provision of water for the appropriate maintenance of Main Road 36 between the Kuiseb River Crossing and Walvis Bay. 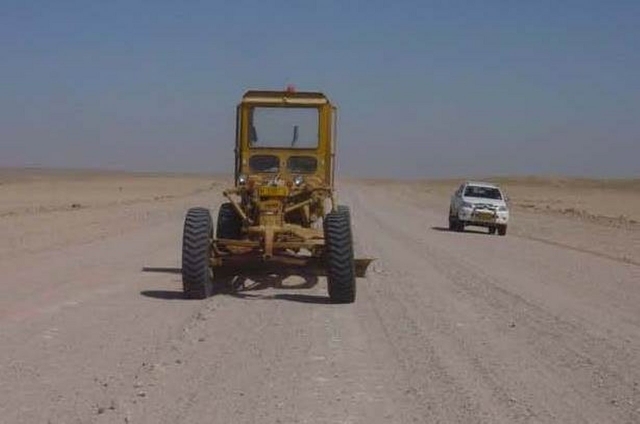 Several alternatives were compared with each other in respect of the provision of water for proper road maintenance purposes and the impact thereof on the road condition and road user costs. Roughness measurements were evaluated and the respective vehicle operating costs for the different scenarios calculated. The results of this investigation were summarised in the final report submitted to the Roads Authority.